Traditional personalised woven labels are still popular for many customers. And some schools even insist on woven name tags for naming school uniforms. 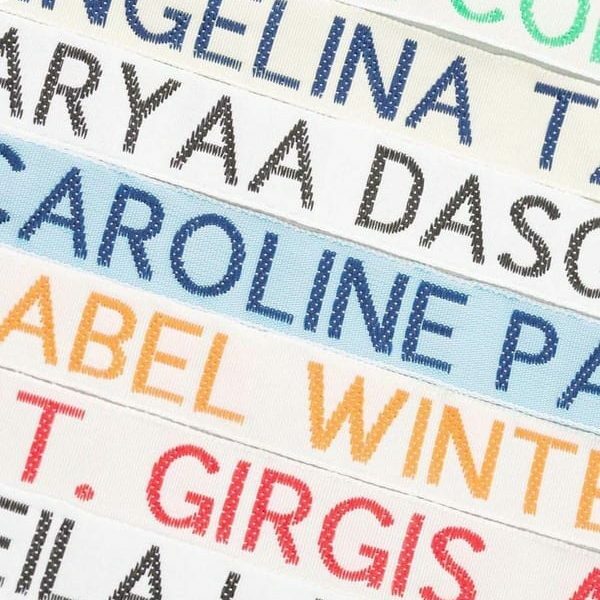 Our 8mm wide woven name tags are the most popular size of garment labels we offer. 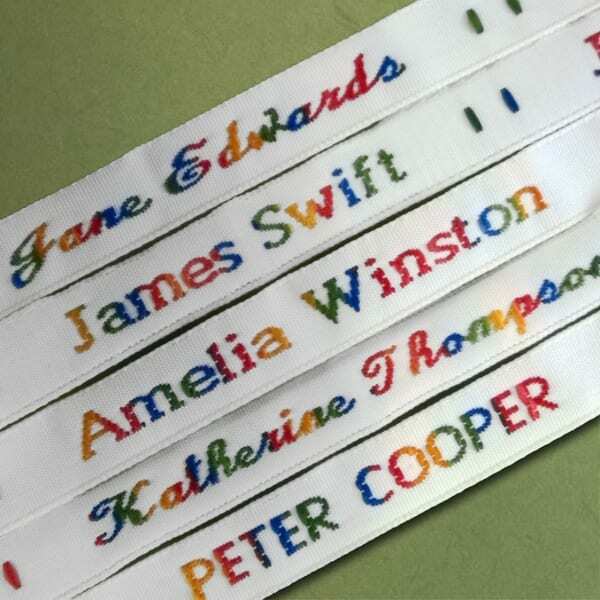 Your personalised woven labels come with your chosen name embroidered on the label. Available in a choice of print styles and weave colours as shown on the web page. 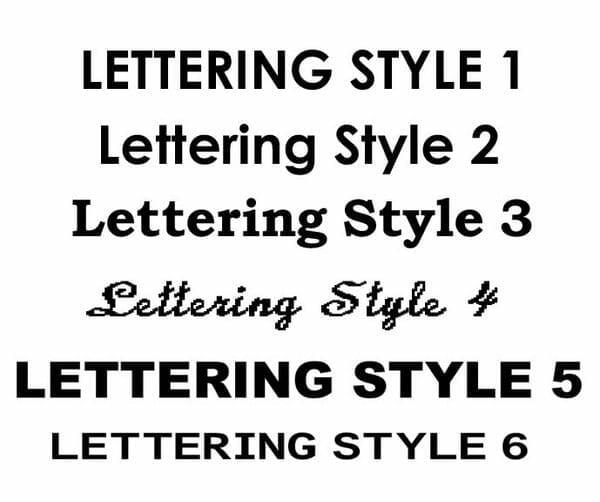 Lettering style 2 being the most popular as it comes in Upper and Lowercase print making it easier for children to read. Our school name tags are always the length of the name plus a little either side. 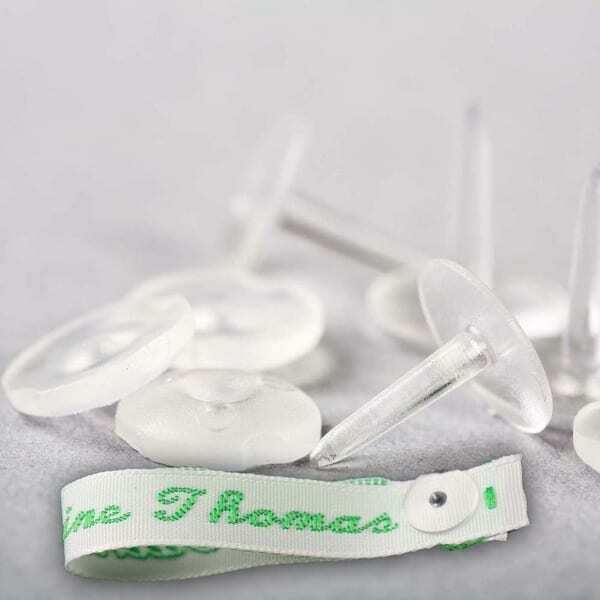 The purpose for this is to allow customers space to turn the tag under at each end when sewing onto the garment. The 8 mm refers to the depth of the school name tag. Garment labels are colourfast and non fraying can be hand sewn in or machine sewn. Woven clothing labels are ideal for naming school uniforms, sports kit and other clothing garments. We recommend our stick on name labels for naming non clothing items.